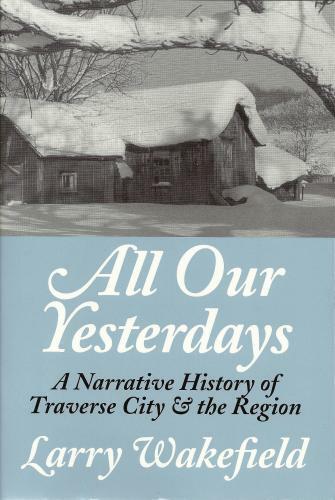 All Our Yesterdays: A Narrative History of Traverse City & the Region. This is Larry Wakefield’s first book, first printed in 1977 and reprinted by popular request. It set the style and standards for all his subsequent works – 18 books on Michigan history. This book includes some of the most fascinating stories on the history of the Grand Traverse Region, along with nearly 100 historic photographs. Read about: When the ice came; The Indians and the Hohnkes; The town they called “Hell”; Traverse City’s haunted houses.